We are on our way back to Nashville now spending the night at a KOA near Huntington, WV. It was a 400 mile drive on I-79 through the West Virginia mountains with the trees turning to gold and red. It is a beautiful drive with only a few trucks. On the trip east we spent a night in Harpers Ferry, WV. It is a Civil War era town that changed sides several times during the war. At the junction of the confluence of the Potomac and Shenandoah rivers, at one time boats could go from Chesapeake Bay through the town to the Ohio River. If only the C&O were open today we could get from Kentucky Lake to the Chesapeake by boat in a whole lot less time than going around Florida. Lewis and Clark set out on their expedition from Harpers Ferry. 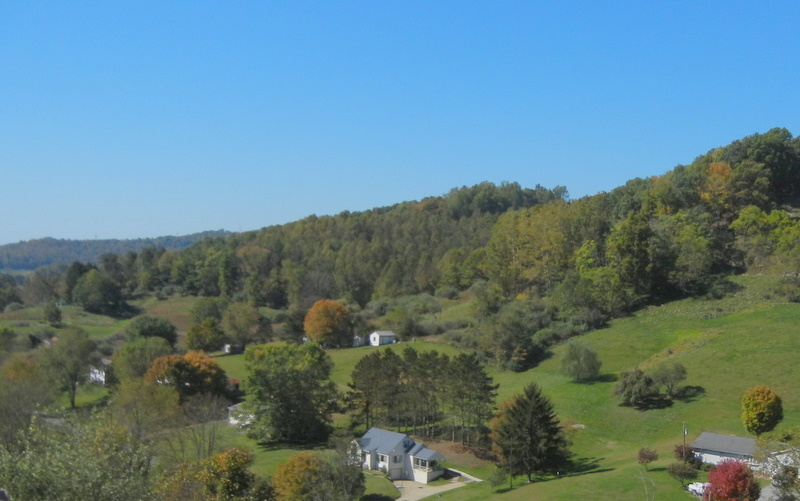 The Appalachian walking trail runs right through the town. 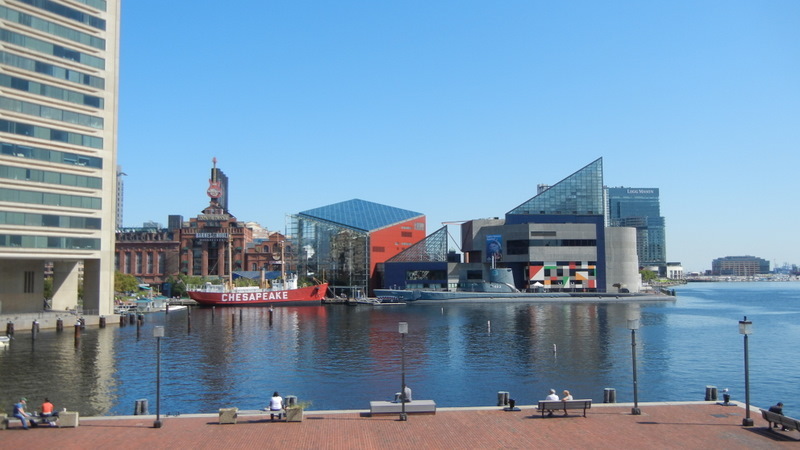 TrawlerFest was held in two locations on the Baltimore Harbor. The seminars were at the Hyatt Hotel and the boats and exhibits at Harborside Marina which is a ½ mile walk from hotel. We had to park the View at Harborview Marina which is another ½ mile. Altogether in the day and half we were in Baltimore we walked 6 miles. The most exercise in a long time. 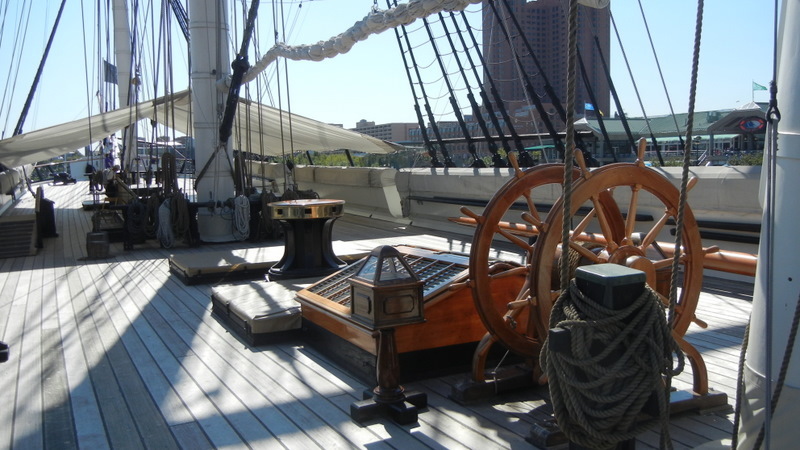 Thursday we toured the restored 1854 Constellation battle ship and the 1930 Chesapeake Light Ship. The two seminars were well attended with 15 for "Keeping In Touch" and 45 for "Great Loop". After lunch I walked along the dock looking for interesting boats. 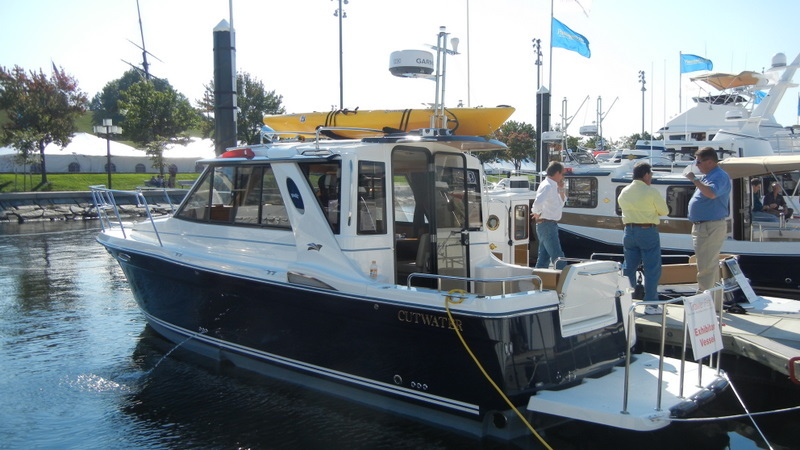 The highlight was a 26 ft, trailerable, Cutwater built in Washington by the same company that builds the Ranger Tug. It has lots of room and lots of storage with a single Yanmar 180 hp diesel engine. It reminded me of our first boat, a 26ft Fjord built in Norway. Dinner that night was held to celebrate the 100th issue of Passagemaker magazine. We really enjoyed the company of 3 couples all planning retirement and looking for boats to do the Great Loop. All had attended my talk at one time or another. 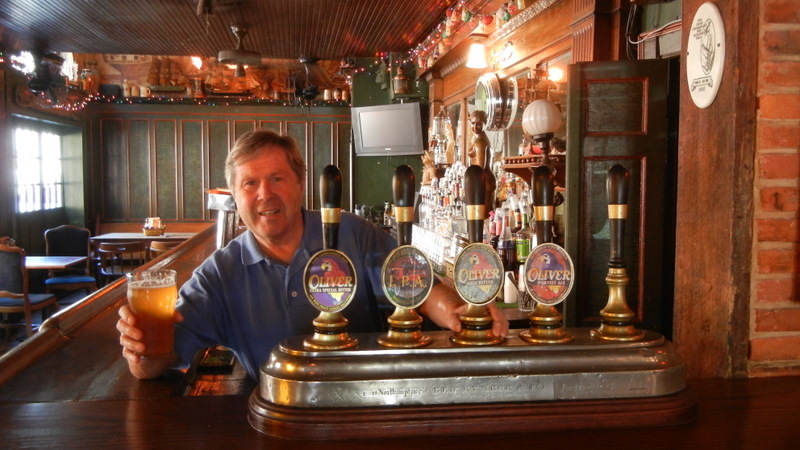 It was easy to remember names as there were 3 Bob's and a Steve. One couple was cattle farming in Texas, another operated an RV repair business, and the third were career army.